Centipede grass is native to China and Southeast Asia. It was first introduced into the United States circa 1916 from seed collected by Frank N. Meyer in South China. Centipede grass has since become widely grown in the southeastern United States from South Carolina to Florida and westward along the Gulf Coast states and Texas. Centipede grass’ popularity as a lawn grass stems from its adaptation to reduced fertility conditions and its low maintenance requirements. Where Centipede grass is adapted and properly managed, it has few serious pest problems. 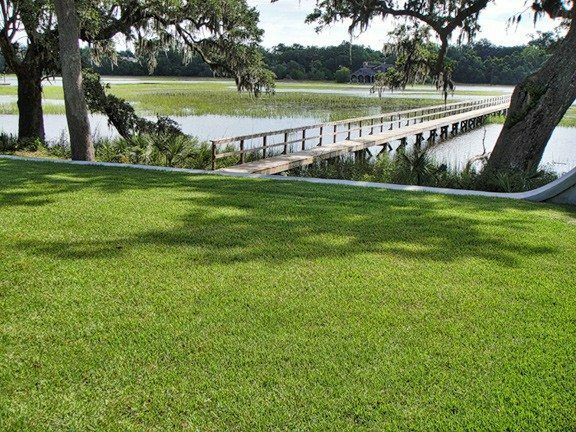 Centipede grass is particularly well adapted to the sandy, acid soils of southeastern United States. Its westward movement is somewhat limited by severe iron deficiencies that develop in the alkaline soils of the arid regions. Centipede’s northward movement is restricted by low temperatures. Centipede grass is slightly more cold tolerant than St. Augustine grass, but extended periods of 5°F or less will likely kill Centipede grass. Centipede grass is moderately shade tolerant, but grows best in full sunlight. It is not as salt tolerant as St. Augustine grass or Bermuda grass. Centipede thrives on moderately acid soils, pH 5 to 6. Above pH 7.0 iron becomes a limiting factor and supplemental applications of iron may be required. Centipede grass does not enter a true dormant state during winter months and is severely injured by intermittent cold and warm periods during fluctuating spring temperatures. Hard freezes kill the leaves and young stolons of Centipede grasses. Centipede grass usually recovers as soon as temperatures become favorable. Recurring cycles of cold and warm during the winter months depletes its energy reserves and make’s it susceptible to extreme winterkill. Thus, its adaptation is limited to areas with mild winter temperatures. One of the most common grasses around Lancaster is centipede. Centipede’s popularity is due in large part to its reputation as a low maintenance lawn. I frequently get the question, “How much fertilizer do I need to put on my lawn?” My answer to this question, with respect to centipede in particular, is always to get a soil test. There is a much greater chance of over fertilizing centipede and sending it into a state of decline than with other lawn grasses. Centipede grows under different soil conditions than other grasses. These conditions allows this slow growing grass to better compete with weeds for space in your lawn. 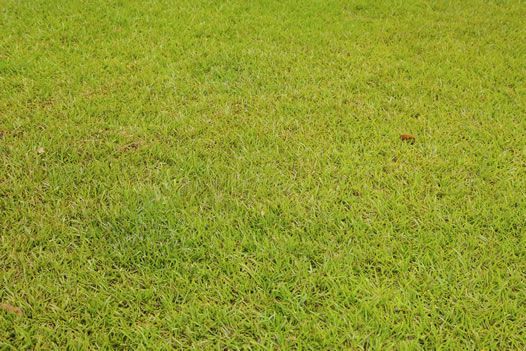 In fact, centipede performs best in soil conditions that can be considered poor for most lawn grasses. The nitrogen (N) requirement for centipede is very low. Dr. Bert McCarty, Clemson University Turf Specialist, recommends no more than a half-pound of nitrogen per 1000 square feet annually, compared to standard recommendations for warm season grasses that range from three to five pounds of nitrogen per 1000 square feet. A small amount of excess nitrogen does not directly affect centipede negatively but rather selects faster growing weeds. Higher rates of nitrogen can lead to chlorosis (yellowing), burning of the leaves and can make centipede more susceptible to winter injury. Centipede performs best in low to medium soil phosphorous (P) levels. Soil retains phosphorous well. If you do not collect grass clippings from your lawn, there is no need to repeat yearly applications of phosphorus when soil levels are already adequate. Excess phosphorous can contribute directly to chlorotic (yellowing) by preventing proper iron availability and is considered by some experts to be a primary reason for centipede decline. Potassium (K) is a nutrient that can benefit centipede by helping increase winter hardiness. Centipede is especially susceptible to winter injury when there are large fluctuations in temperatures during the winter. It takes centipede 10 days of cold weather to harden enough to handle freezing temperatures, while only two days of warm weather can erase any built up cold hardiness. Potassium is generally recommended in equal amounts to nitrogen when applied in the spring. Never add any lime to centipede without direct indications from a soil test. Centipede performs best at a more acid pH range of 5.5 to 6.0. At this pH, centipede can better compete for nutrients than others lawn grasses and weeds. Soil pH is a measure of acidity. Most lawn grasses and weeds require a pH of 6.0 to 6.5. It is important to remember that centipede is a low maintenance grass. Unless your soil test recommends something different, centipede can perform very well with little to no fertilizer or lime. A good general fertilizer for centipede is one that has about the same amount of potassium (K) as nitrogen (N) with low levels of phosphorous (P). Keep in mind, there is no substitute for a soil test. Once you have corrected your soil nutrients, centipede does grow slowly and it will take longer to fill in. In the right soil conditions centipede can out-compete and choke out the best of weeds over time. Have patience, and enjoy your low-maintenance centipede lawn. The natural color is a yellowish green. An established Centipede Lawn only requires a complete fertilizer application (i.e. : 16-4-8) twice a year. An insecticide should be applied as a preventative during the growing season for mole crickets and grubs. Centipede responds well to frequent watering depending on soil type; as long as the turf is not standing in water, water as much as you desire.